The European Regional Development Fund (ERDF) aims to strengthen economic and social cohesion in the European Union by correcting imbalances between its regions. The European Territorial Cooperation (ETC) strand is central to the construction of a common European space, and a cornerstone of European integration. It has clear European added value: helping to ensure that borders are not barriers, bringing Europeans closer together, helping to solve common problems, facilitating the sharing of ideas and assets, and encouraging strategic work towards common goals. 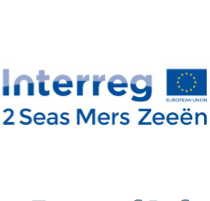 The Interreg 2 Seas Programme is one of the ETC crossborder cooperation programmes between the coastal regions of 4 Member States: France, UK, Belgium/Flanders and the Netherlands. The 2 Seas Programme Authorities are inviting the submission of project proposals under its 8th Call for Proposals for the 2014-2020 programming period. This document sets out the requirements and process to follow for the 8th Call. It should be read in conjunction with the 2 Seas Cooperation Programme (CP) as well as the 2 Seas Programme Manual. Please note that the BREXIT process may have an impact on the call. Please consult regularly the Programme website to have the latest news on the topic. The 2 Seas Programme’s overall aim is ‘To develop an innovative, knowledge and research-based, sustainable and inclusive 2 Seas area, where the natural resources are protected and the green economy is promoted’. The Programme has 4 Priority Axes, which in turn are broken down into 7 specific objectives. There are 2 cross-cutting themes: support to SMEs and the Maritime dimension. This constitutes the basis of the Programme Strategy. The Programme has a total ERDF allocation for the 4 mentioned Priorities of €241,249,780 ERDF split between them. Projects will be able to apply in the 8th Call for 60% fixed ERDF contribution (unless state aid applies). All Priorities and Specific Objectives are available for the 8th Call for Proposals. It is strongly recommended to closely follow the further development of the Programme, as the available budget of one or more priority axes, notably priority axis 3 may be limited by the time you submit your application. The website of the Programme and the ToR will be updated in accordance with the latest developments. All target groups and types of beneficiaries as defined in the CP are welcome in the 8th Call for Proposals. Conditions on eligibility of organisations are defined in the Programme Manual. All 2 Seas geographical areas are concerned. Applicants outside the Programme area can participate under the conditions defined in the Programme Manual. The ending date of projects shall be 30/09/2022 at the latest. In the framework of the European Territorial Cooperation Programmes, ERDF aims to create a leverage effect on a project, but also to bridge the funding gap. The ERDF investment contributes to a project budget provided that it is necessary to fully achieve the project objective through real cross-border cooperation. Where projects will generate revenue, ERDF funding may be reduced to take account of future income and ERDF grant may be recovered if future income exceeds the original estimates. More information on revenue generating projects can be found in the Programme Manual. defining both the expected results and the methodologies to capture them. The results are intended as the actual change the project will bring. In this respect, the outputs the project will deliver, are only the concrete products intended to be the means to trigger the change so they cannot be considered as the change themselves. • Direct support to businesses is an activity that can deliver against S.O. 1.1 and framework conditions for innovation. Training activities could fit in the Programme, however they need to be a means rather than an end in the project. Focus is on improving the framework conditions for innovation, not on delivering innovation itself. As such, development activities can fit only if they serve the purpose of improving framework conditions. Involvement of quadruple helix/stakeholders of the innovation chain is crucial. Where relevant, applications will need to show synergies and / or complementarities with 2 Seas already approved projects. Applications should build on available research results and as such refer to them in the AF. Training activities are seen as relevant, provided they are a means to achieve something (and not an end). They should remain a minor element of the project. Where relevant, applications will need to show synergies and / or complementarities 2 Seas already approved projects, particularly for projects dealing with life science and health. Applications should demonstrate how they fit in the Interreg 2 Seas Programme and show how this Programme is more appropriate than the European Social Fund or other national funding. Where relevant, applications will need to show synergies and / or complementarities with 2 Seas already approved projects. This in particular for applications tackling health, demographic change and well-being. The Interreg 2 Seas does not support direct and widespread retrofitting of private houses. Big investment projects (on housing renovation for example) are seen as relevant as long as cross-border cooperation added-value and transferability are demonstrated. Industrial research projects are also welcome as long as transferability and roll-out of outputs are ensured. IPR management should be in line with Interreg principles. already approved projects. This in particular for applications dealing with building sector and renewable energies. Only implementation applications to improve the adaptation capacity will be supported. Strategies, action plans, data gathering/modelling etc. can be part of a project but not the final result(s). Emphasis should be put on tangible implementation of adaptation measures. This SO is not an environmental/biodiversity priority, but a climate change adaptation one. Obviously, there can be environmental/biodiversity side effects as a result of a project implemented under this SO, but this does not have to be the main result. Where relevant, applications will need to show synergies and / or complementarities with 2 Seas already approved projects. This in particular for applications dealing with flooding. Applications need to focus on a few challenges that they can actually influence. Applications should be about resource efficiency, although side-effects on carbon emissions are obviously welcome. Applications should clearly show how they directly lead to the reduction of the use of the resources mentioned in the Cooperation Programme under this SO. Following a competitive process, projects will be assessed on eligibility and admissibility criteria on the one hand, and quality criteria on the other. Proposals that do not meet the requirements set out below will not be selected for funding in the 2 Seas Programme. Eligible and admissible project proposals will be ranked according to best delivery of the CP objectives. More information regarding the criteria can be found in the Programme Manual. Project’s context (relevance and strategy): How well is a need for the project justified? Has demonstrated that it is aware of synergies with other projects and that it will exploit those as well as knowledge already available in the field. Has shown that it clearly makes use of the available knowledge and introduces innovative practices, techniques, technologies, etc. Has ensured that the cooperation will benefit the project partners, their target groups and stakeholders, and the 2 Seas area as a whole. Project’s contribution to Programme’s objectives, expected results and outputs: To what extent will the project contribute to the achievement of the Programme’s objectives? Has shown that outputs and results are durable and when possible applicable and replicable. Partnership relevance: To what extent is the partnership composition relevant for the proposed project? Management: To what extent are management structures and procedures in line with the project size, duration and needs? Has shown a clear understanding of the Programme rules and requirements as set out in the Programme Manual. Communication: To what extent are communication activities appropriate and will reach the relevant target groups and stakeholders? communication policy to ensure uptake of the project’s results and outputs. Has a realistic time plan and a logical distribution of activities, deliverables and outputs time-wise. Budget: To what extent does the project demonstrate value for money and is coherent and proportionate? Has a budget that is logically distributed among partners, periods, work packages, budget lines and this is understandable when looking at the work plan and the budget lines description. Projects must also comply with tendering and procurement rules and will be asked to describe the procedures that are applicable to their organisation. Finally, special attention should be paid to the compliance with state aid rules. Applicants are encouraged to consult the Programme manual factsheet and dedicated guidance on state aid. The opening of the call will be on 01/02/2019. STEP 1: The submission of a Concept Note by 08/04/2019 (23:59 Brussels time). The Concept Note will enable Programme Authorities to steer projects in order to successfully implement the Programme strategy. The aim is also to reduce the administrative burden for Project Applicants by ensuring a fit with the Programme strategy. Requirements and recommendations will be provided to Project Applicants concerning their project. The Concept Note will need to be provided in the 3 official Programme Languages (English, French and Dutch). The English version will be considered the official version. STEP 2: By the first half of July 2019 applicants will receive the Notification letters on the submitted Concept Notes, containing the Strategic Task Force position on their CN. The opening of step 2 will be by mid-July 2019. STEP 2 will close with the submission of an Application Form by 31/10/2019 (23:59 Brussels time). Only CN submitted in time in step 1 allow the submission of a full Application Form in step 2. The Application Form will include all operational aspects of the project. A final decision will be as follows: approval, rejection. It is to be noticed that in the framework of this call for proposal there will be no referral back decision; this is however without prejudice to any future decision of the Programme impacting in the Terms of Reference of this call. The Application Form will only need to be provided in English. The Programme Monitoring Committee will take a decision in the second half of January 2020. Projects will receive a notification letter containing the in the first half of February 2020. More information regarding the Application phase and Project selection phase can be found in the Programme Manual. All users will have to create their account to get login credentials on the 2 Seas Programme Electronic Exchange Platform (EEP) and submit their Concept Note online. The completion and submission of the Application Form will also be done online through the EEP (http://eep.interreg2seas.eu/). However, word versions of the documents are also made available to help with the drafting process (http://www.interreg2seas.eu/).